There are three main types of asbestos which have been commonly used are outlined below. 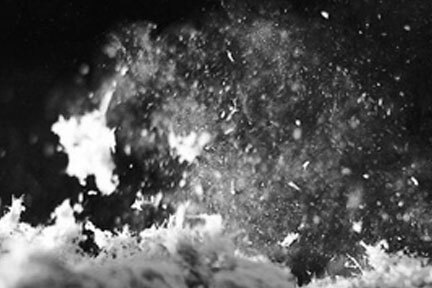 These three types of asbestos are those that have been used extensively in the construction and building industry sectors. Crocidolite (Blue): This is the strongest of all asbestos fibres and has a high resistance to acids. 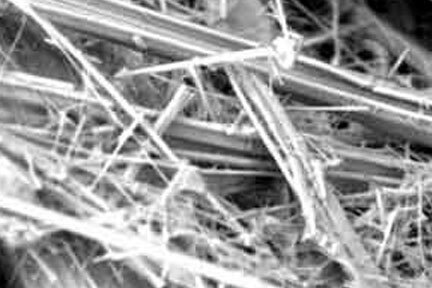 This type of asbestos with its needle like fibres is considered to be the most dangerous of all asbestos types. It was used extensively in preformed thermal insulation. Amosite (Brown): This type of asbestos has harsh, spikey fibres and has good heat resistance properties. Given its strength and heat resistance it was used extensively in buildings for anti-condensation, acoustic purposes and on structural steel. It was also used widely in the manufacturing process of insulation boards. Chrysotile (White): Traditionally this has been the most widely used asbestos as it is the most flexible of all asbestos fibres. It was used extensively as a reinforcing material in cement building products. All are dangerous, but Crocidolite and Amosite asbestos are known to be more hazardous than Chrysotile. However, the different types cannot be identified by their colour alone. When asbestos is affected by heat and chemicals, or combined with other substances, the colour and appearance can change. The Control of Asbestos at Work Regulations 2012 (CAW 2006), gives specific guidance on who the duty holder is for buildings and how asbestos should be managed.